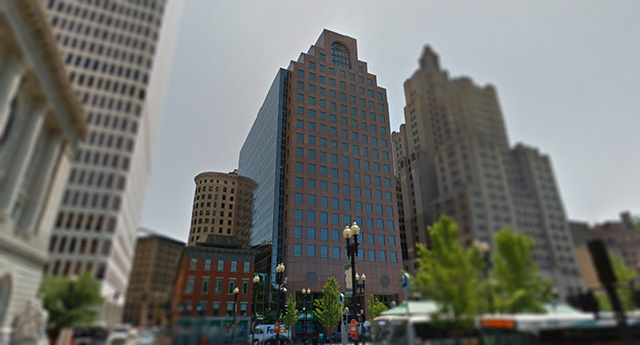 Paolino Properties has purchased a package of three high-profile properties in Providence’s Financial District for $60 million, the company announced Wednesday. The acquisitions include the 20-story tower at 100 Westminster St., the five-story building next door at 30 Kennedy Plaza and the Weybosset Street Metropark lot across the street that features the propped-up façade of the former Providence National Bank Building. The article goes into plans for the buildings and vacant parcel which all sound great, look at me, I’m all surprised over here. One wonders, and one is not just me people are talking, where the former Mayor is getting funds for all this. Wonders about funding instill fears about the viability of the proposed plans. Fingers crossed good things happen, would be very good for Kennedy Plaza as well as Westminster Street. Interesting but the old building is going to be left to another buyer I guess. So the Paolino’s now own most of downtown Providence. Had the opportunity once to meet the former Mayor. Nice enough guy and I know his admin person from years back. I heard Paolino stress the importance of art and art galleries toda, does this mean we can take photographs of the actual building now? How do you all read the last sentence in that paragraph? Is Paolino saying he doesn’t think he could do more than a parking garage at this site? I took it to mean that if he builds a garage, there’s nothing else he can put on that site. I don’t know what he meant, but I don’t think there is any room in our market to allow for the construction of an office building in this location, we have too much vacancy for spec office construction and no clear tenant looking to move here. We have more demand in our market for apartments, but financing for new construction is really difficult. Financing for parking garages is not difficult, at this point that seems most likely to be built if anything is, sadly. It would be great to see a large residential tower go up on that site, like the one that was originally planned, with ground floor retail space that could connect to the arcade and 100 Westminster across the street. However, then what will happen to the Industrial Trust Co. Tower across the street, if the market becomes flooded with new real estate. I honestly feel if both towers were developed at once, and then marketed well, people would move in, hopefully attracting new businesses and entertainment, etc. The parking lot makes sense at the moment right now. If it does get built, it should be built with the intention to allow for a skyscraper or whatever to be built on top of it, when the market allows. Ideally though I wouldn’t want to see a parking garage at that location, while it is in a good location, in proximity to things, I don’t feel Westminster or Weybosset Street should handle any more auto traffic. Can one feasibly make the argument that all these garages have a connection to demand for apartments downtown? I think the assumption is that demand is low because there’s not enough parking, but maybe it’s the reverse. So long as you can park, why live downtown? Why not just commute? Demand is very high for apartments in Downtown Providence, we have the 5th lowest apartment vacancy rate in the country. Huh, yeah, I thought so. Sorry, I misread your comment about office space. I guess there’s not enough demand for office rentals, but there is demand for apartments. Get ready for these buildings to sit vacant or under-utilised for awhile. Next thing you know, Lombardi will have bought the Industrial Trust building and turn it into a cigar-shop. The buildings are almost fully tenanted, I don’t see any reason why they would sit empty.